TUSCAN ROOM Please note: The private bathroom for this room is situated across the hall. Bathrobes are supplied. Queen bed, fat screen TV, CD,dvd and IPod player. Fridge and tea/coffee making facilities. NEW ZEALAND ROOM Queen bed, en-suite, sofa bed, flat screen TV, table and chairs. Fridge and tea/coffee making facilities. CD,dvd and IPod player. SWEDISH ROOM Queen bed,fridge, en-suite spa, sofa bed, flat screen TV, table and chairs. CD,dvd and IPod player. AUSTRALIANA ROOM King bed and king single, en-suite spa, 2 sofa beds, flat screen TV, tables and chairs. CD,dvd and IPod player. Fridge and tea/coffee making facilities. This is our biggest room. JAPANESE ROOM Queen bed, en-suite, sofa bed, LCD TV, table and chairs. Fridge and tea/coffee making facilities. CD and IPod player. Bundanoon Lodge offers rooms with free breakfast, free Wi-fi and a flat-screen TV. Guests have access to a garden and a large outdoor terrace. 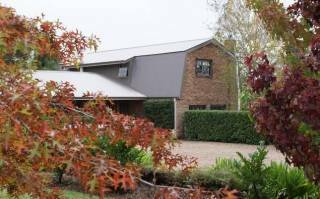 Free car parking is provided at Bundanoon Lodge. The guest lounge area features a library and open fireplace. Breakfast is served each morning in the dining room. Each room is heated and includes a table and chairs. 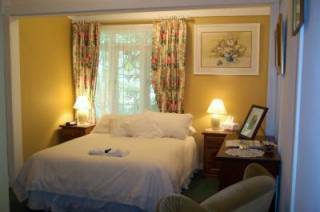 Some rooms also have a spa bath, and all rooms open out onto a veranda overlooking the landscaped gardens. 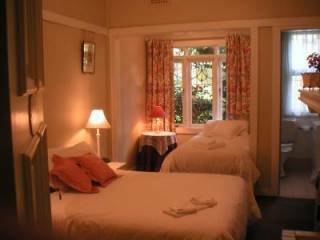 All rooms are en suite and open onto a lovely verandah overlooking our lawns, gardens and trees. Our guests can enjoy an open fire in our guest lounge during the colder months or relax in our library. The property has central heating and all rooms are equipped with flat screen TVs, DVD and CD players and small fridges. 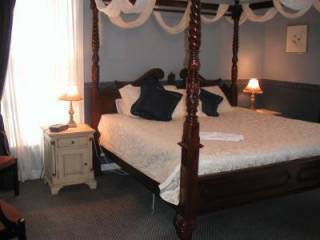 Our rooms are huge with queen beds in four rooms and a king size bed in the Australiana room. All rooms bar the Tuscan have single beds as well as a Queen or King bed. We make an effort to make our guests feel comfortable and have a "home away from home". Graeme's breakfasts are very popular as can be seen from our reviews and we usually have a nice chat with our guests over breakfast. We live upstairs and our guests can enjoy as much privacy as they want. Situated near Morton National Park, guests can enjoy activities such as cycling or bush walking in the surrounding area. If cancelled 0 - 7 days before arrival, no-show or decide to go home earlier, 100% of the total amount will be forfeited. If you do need to cancel please give us plenty of notice.